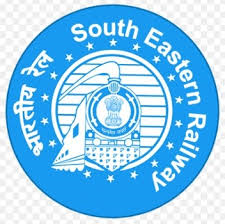 South Eastern Railway inviting applications from sports persons to fil up 16 jobs. Educational qualifications required for this job is SSC with ITI or Intermediate. Candidate should have participated in concerned sports events. Selection Process: Through Game skills, Physical fitness, Sports Trails, Sports achievements, Educational qualifications, Personality Test and Medical Test. Application process date: From 20th August 2018 to 19th September 2018.
to ful-fil Pilot/Observer/ATC entry for Short Service Commission (SSC) for the batch of June 2019 in Indian Naval Academy Ezhimala, Kerala. Educational qualifications required for this posts are Engineering Degree. Psychological Tests, Group Task tests, Interview, Medical Examination and Pilot aptitude battery test. 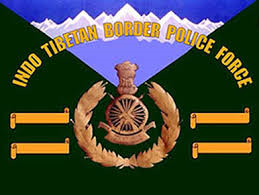 Indo Tibetan Border Police Force invites online applications from eligible candidates to fill up 390 posts. Government of Andhra Pradesh, Collector Office, Krishna District inviting applications for the posts of Group IV, Class IV and Technical vacancies. CLASS IV VACANCIES - 20 NOS. Educational qualifications required for these jobs Degree/ Intermediate/ SSC/ VII Class/ Commuter knowledge/ Typing in Telugu & English/ Multi Purpose Health Assistant/ Sanitary Inspector Course/ Diploma in Ayurvedic Pharmacy/ Lab Technician Course. Educational Qualifications required for this job is Graduate from recognized University. Knowledge of Regional Language of the Sate of Recruitment is essential. How to Apply: Candidates can apply through online mode only. Online Registration commences: From 06.03.2017 to 29.03.2017. Date of Tier I Examination (Preliminary): 22.04.2017 and 23.04.2017. Date of Tier II Examination (Main): 23.05.2017. 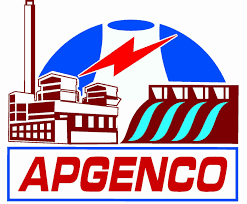 Andhra Pradesh Power Generation Corporation Limited (APGENCO), Hyderabad inviting applications for the posts of Trainee Assistant Engineer vacancies. Educational Qualifications required : B.E/ B.Tech/ AMIE (Electrical & Electronics Engineering/ Mechanical Engineering/ Electronics & Communication Engineering/ Instrumentation & Control Engineering/ Electronics & Instrumentation Engineering/ Electronics & Control Engineering/ Instrumentation Engineering/ Electronics Instrumentation & Power/ Power Electronics/ Computer Science Engineering/ Computer Science & Information Technology/ Civil Engineering. Age: Not more than 42 years as on 01.03.2017. Date of Written Test: 23.04.2017. How to apply: Candidates may apply online through website.